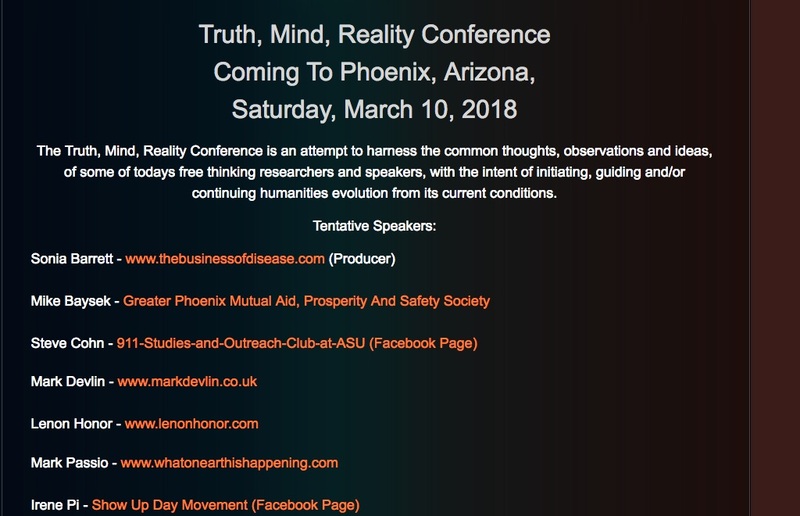 Announcing the inaugural Truth Mind Reality Conference happening in Phoenix AZ next March, at which I’m very excited to be speaking alongside the likes of Mark Passio, Lenon Honor, Sonia Barrett and many others. Much respect to the brother Ivan for putting it all together. 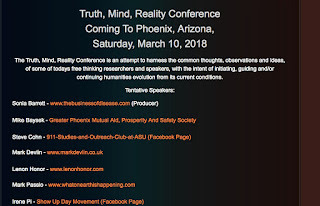 As ever with such events, early ticket bookings will help the organisers out considerably in being able to make it all happen, and early hotels and flight bookings come highly recommended for anyone who knows they can make it.